Sometimes, it’s what you don’t say that speaks louder than words ever could. A frown, a smile, or a look in your direction…and you get the point. At other times, it’s a nod of the head or a clench of the fist that sends the message loud and clear. What you say about your company nonverbally can speak volumes. It’s important to choose what you don’t say very carefully. What you don’t say about your company is no small matter—it influences the thoughts of your potential clients and customers. The mental image your audience conjures when they think of you is in your hands—both outside and inside the office. Your executive modern office design communicates through nonverbal language. If you choose your statements carefully, your need to speak will be lessened. At 90 Degree Office Concepts, we can help you find the right expression for you. 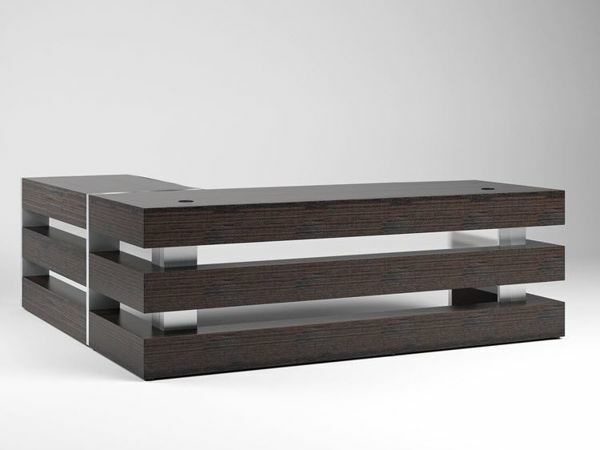 Products like the Athens Modern Executive Desk, through its unique design and devotion to detail, can help you make your words visual. 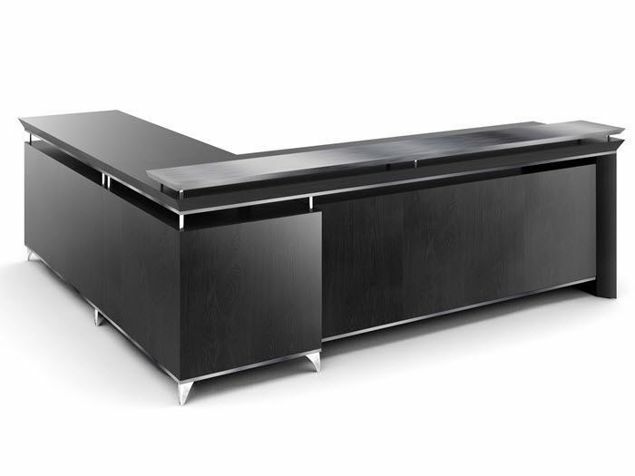 The Athens Modern Executive Desk makes no ordinary statement. The squared-off beams and horizontal posts provide eye-catching detail, while the facial backdrop offers muted visibility. The Athens entry-level size begins at 30"D x 72"W, and can extend to the size that best suits your application. Your material selection can begin with any of our HPL colors, or it can be upgraded to specialty laminate, maple wood veneer, or exotic veneers. The interior posts are done in brushed aluminum, and you can upgrade your desk size by adding a return (optional) to the size that fits your workload. 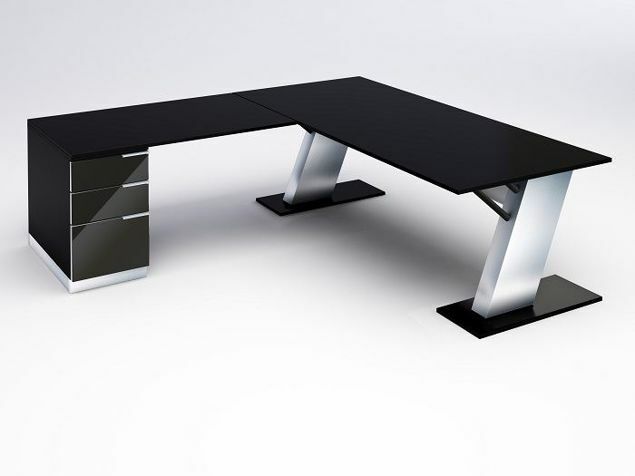 The executive desk concept shown above engages a unique blend of horizontal beams outfitted with designer laminate along with vertical posts done in brushed aluminum. This desk has a footprint of 84" x 36" with a 24" x 48" return. 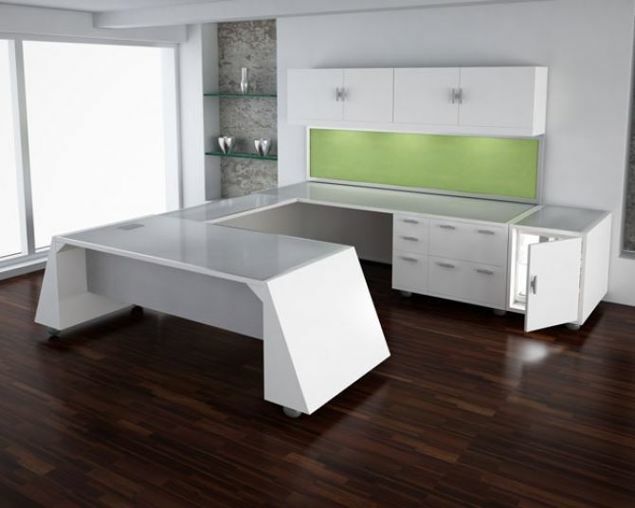 The acrylic glass under the work surface provides visual protection from outside the desk.